The practice of peer review is to ensure that only good research is published. Journal of Pure and Applied Microbiology (JPAM) is committed to prompt evaluation and publication of fully accepted articles and operates a conventional double-blind reviewing policy in which the author name remains anonymous to reviewers and vice versa. Upon submission of an article, all articles undergo a rigorous review process to ensure a thorough and detailed review by experts in the article’s interest area. The author submits an article and it receives an article tracking number which should be referred to in any subsequent communications between the corresponding author and the editor. Article is assessed by journal editor against the scope of the journal and Instructions to Authors to make sure it includes the required sections. The editor decides whether to send the article out for review or not. 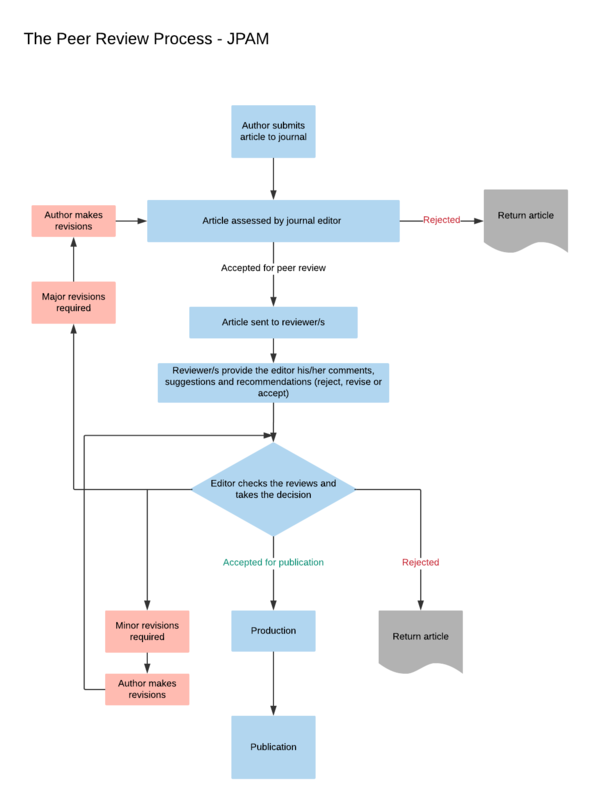 If the decision is to accept, then it is sent for peer review to assess the scientific quality of the article or if the decision is not to accept, the editor contacts the author with the decision. The reviewer(s) review the article and provide the editor with his/her comments, suggestions and recommendations (reject, revise or accept). Editor checks the reviews and takes the decision whether to accept, reject, or to revise (usually flagged as either major or minor). If there are revisions the authors makes the necessary changes and re-submit. Once the article is accepted by the editor, it moves into production and is published. Authors of articles that are not accepted are notified promptly and then the authors can choose to transfer their articles to another journal.